Smith in 2012 with The Word Alive. Tyler "Telle" Smith is an American musician. He is currently the lead vocalist of Arizona metalcore outfit The Word Alive and has played in several bands, such as Greeley Estates and In Fear and Faith. He is known for his tenor singing voice, wide vocal range and ability to comprehensively alternate between melodic and screamed vocals. Smith joined In Fear and Faith as one of their two lead vocalists in May 2007 to replace founding vocalist Jarred DeArmas. Smith performed on the band's debut release Voyage and was a member of the band until January 2008 (a month after the release of the EP), when he joined Phoenix, Arizona-based Greeley Estates as bassist. Smith was a member of Greeley Estates from January 2008 to November 2008. He left the band on November 14, 2008, the day before the band was about to go on tour with Alesana. The band said "not to fret" and that the position would be filled. During this brief association, Smith was featured on some tracks from the album Go West Young Man, Let the Evil Go East. Upon his departure, he joined The Word Alive, originally a side-project by former Blessthefall and Escape the Fate's Craig Mabbitt, on December 3, 2008. Smith replaced Mabbitt, due to Mabbitt's unavailability to tour with the band. Smith is featured on the band's debut EP, Empire. A year in advance of its release, Smith confirmed the writing of The Word Alive's first full-length album. On January 20, 2010, he stated it would be titled Deceiver. Deceiver was released on August 31, 2010. In 2010, The Word Alive were included in Underoath's November tour. 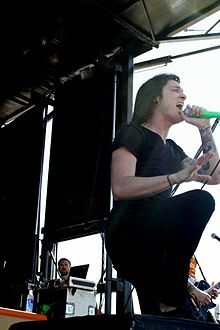 At the Mission, Texas show, Smith substituted for Underoath vocalist Spencer Chamberlain who had contracted food poisoning during the tour's final week. On January 24, 2011 while The Word Alive were on tour with Texas in July and For Today, Smith was hospitalized due to an unknown virus and bacterial bronchitis, laryngitis and pharyngitis along with a fever of 103.6 °F. He missed 9 tour dates. In 2011, Smith wrote and completed two new songs, "Apologician" and "Lights and Stones", for the deluxe edition of Deceiver, which was released on June 7, 2011. On March 31, The Word Alive released a new song by the name of "Wishmaster". On that same day, they confirmed the new album Life Cycles would be released on July 3. The album currently has two singles called "Entirety" and the eponymous "Life Cycles". 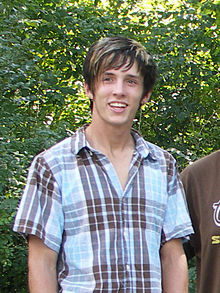 Tyler Smith was born in Dayton, Ohio and is the eldest of four brothers. Smith has cited Brand New and Sigur Rós as some of his influences and has stated that some of his favorite bands are Thirty Seconds to Mars, As Cities Burn, Thursday, August Burns Red, As I Lay Dying, Circa Survive and City and Colour. Smith is an adherent of the Christian faith. By early 2011, Smith began a clothing line by the name of Resist & Rebel, which he co-operated with Andrew Paiano (Woe, Is Me) until 2013 when Andrew stepped down. ^ Tyler "Telle" Smith (Interviewee) (March 3, 2008). Say hello to our new bass player!. Greeley Estates. 2:11 minutes in. Retrieved March 7, 2011. ^ "Greeley is a four piece??". Myspace. November 14, 2008. Archived from the original on February 7, 2009. Retrieved November 18, 2009. ^ "Say Hello To Our New Singer!". Myspace. December 3, 2008. Archived from the original on February 7, 2009. Retrieved November 18, 2009. ^ "The Word Alive Studio Report". Noisecreep. May 5, 2010. Retrieved May 13, 2010. ^ "Underoath To Tour With A Day To Remember, The Word Alive And More In November". The PRP. September 20, 2010. Retrieved June 19, 2011. ^ "My Current Medical Condition & Apology". The Word of Telle. January 25, 2011. Archived from the original on July 17, 2011. Retrieved June 19, 2011. ^ "Interview with Tyler "Telle" Smith, bass player for Greeley Estates". xSisterHoodx. January 14, 2009. Archived from the original on March 28, 2009. Retrieved November 18, 2009. ^ "About « Resist & Rebel". Resist & Rebel. Archived from the original on October 29, 2013. Retrieved October 31, 2011. "It All Comes Out (On the Way Down)"
This page was last edited on 3 February 2019, at 18:28 (UTC).